Green Mango Tree Thai Fusion welcomes you to their dining room. They are open late all week and are reachable by public transit. Come enjoy a delightful creation at Second Bowl. They are open nightly all week and are readily accessible by car. The surrounding location is notable for its merchants. Welcome to ThaiSpringRolls.ca - Experience the taste of Thailand ThaiSpringRolls.ca © Copyright 2009. All rights reserved. Come savor a delicious dish at Thai Villa Restaurant. They are open nightly all week and are conveniently reachable by car. Thai Village Restaurant invites you to their dining room. They are open after-hours all week and are conveniently reachable by car. 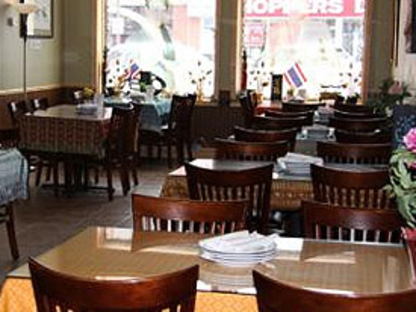 Bolton Thai Cuisine welcomes you to their dining room. They are open nightly all week. You can get there by car. Thai One On welcomes you to their dining room. They are open nightly all week and are readily accessible by car. You can have your dish conveniently delivered at home. Come taste an appetizing creation at Thai Villa Restaurant. They are open nightly all week. You can get there by car. Payments by Interac, MasterCard and Visa are accepted. Come enjoy an appetizing dish at Pho Mi Viet Thai. They are open late from Monday to Friday and are conveniently accessible by car. 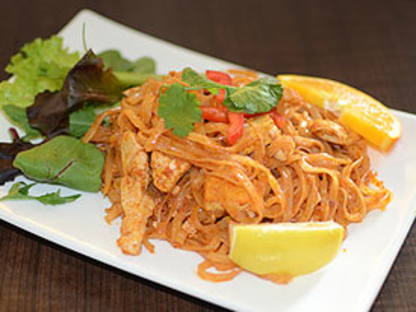 Fresh Thai food made with love and authentic flavour fast. Thaï Express is same same but different. Thai cuisine enjoys great popularity worldwide, and for good reason. The dishes are characterized by a harmony of sweet and sour flavours and fresh, bold ingredients like basil, cilantro, lime leaves and mint. In addition to the freshness of the ingredients, the other big benefit of eating Thai food is economic: most Thai restaurants are quite affordable. Salty fish sauce compliments many Thai dishes. It enhances stews and sautés, as does galangal, which is similar to ginger. Cashews and curry are other musts. Spicy sauces are often used as well. These are typically made of roasted or dried chili peppers, garlic, shallots, lemon or other citrus fruits, tamarind and vinegar. Keep in mind that the number of little hot peppers shown beside each dish on the menu (one or two or three) usually indicates the level of spiciness. Another typical recipe is papaya salad, which is enjoyed by everybody in Thailand, from the poorest of families to the clients of the most contemporary Thai restaurants. To choose a Thai restaurant in Barrie ON, rely on the recommendations of friends or local merchants. In fact, the next time you go to the hair salon in Barrie ON, your hairdresser may be able to recommend the best place for Thai food while you’re in the neighbourhood.